What is a school bond election? A school bond election gives citizens an opportunity to vote on paying for the construction and renovation of school facilities. How can bond money be used? Proceeds from a bond issue can be used for the construction and renovation of facilities, the acquisition of land, and the purchase of capital items such as equipment. Bonds cannot be used for salaries or operating costs such as utilities and supplies. How will the proposed bond election affect my taxes? The proposed bond package will not increase the school district tax rate. 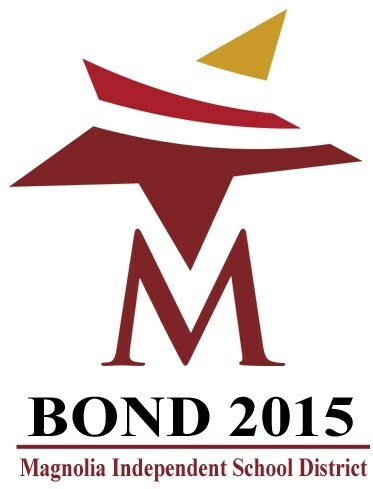 What does the proposed bond election address? The bond proposal addresses aging facilities, enrollment growth, safety and security, and technology upgrades. When was the last time the district funded projects through a bond election? In 2004, voters approved three propositions totaling $84 million for the construction of Magnolia West High School, Magnolia Parkway Elementary and administration offices. Who is eligible to vote in the election? Any registered voter that resides within the school district boundaries. The deadline for voter registration is October 5. You can pick up a voter registration card at the post office or register online.